On Thursday, Feb. 28th, the Alamo held a special event that with historians from Texas, the U.S. and Mexico to discuss how modern research helps to create a deeper understanding of the Texas Revolution. · Gregg Dimmick, Ph.D., Author of Sea of Mud: The Retreat of the Mexican Army after San Jacinto. “This is a session that we’ve talked about doing (at the Alamo) for several years,” Alamo Historian Bruce Winders said. “There has been a lot of things published about the Alamo since the sesquicentennial. The idea that the Alamo story is set in stone and has never changed really isn’t accurate. The sesquicentennial (in 1986) sparked the golden age of Alamo research,” Winders added. Pictured: Miguel Soto, Professor of Mexican History at Universidad Nacional Autónoma de México. 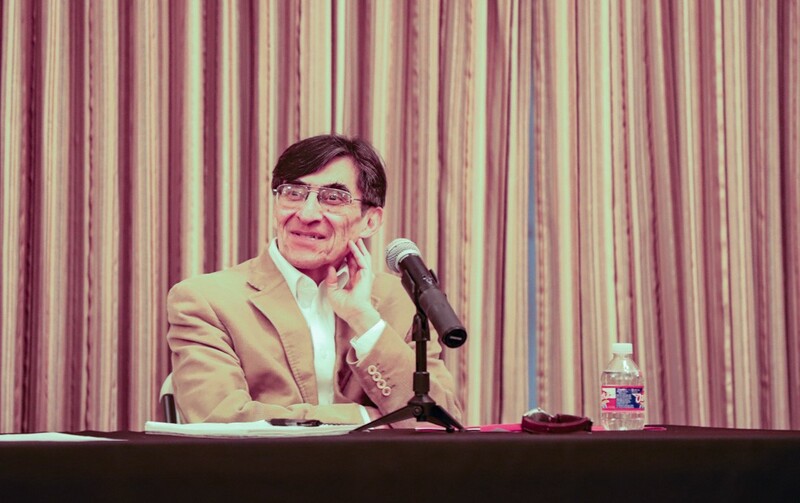 Miguel Soto, who flew in from Mexico City to take part in this panel, told the near-capacity crowd in Alamo Hall that he started researching the Texas Revolution in the 1970’s. “I was interested in the role of Texan politicians in land grants,” Soto said. “Texas was part of Mexico. The war didn’t separate families,” Soto says, illustrating the inescapable link between the history of Texas and Mexico. 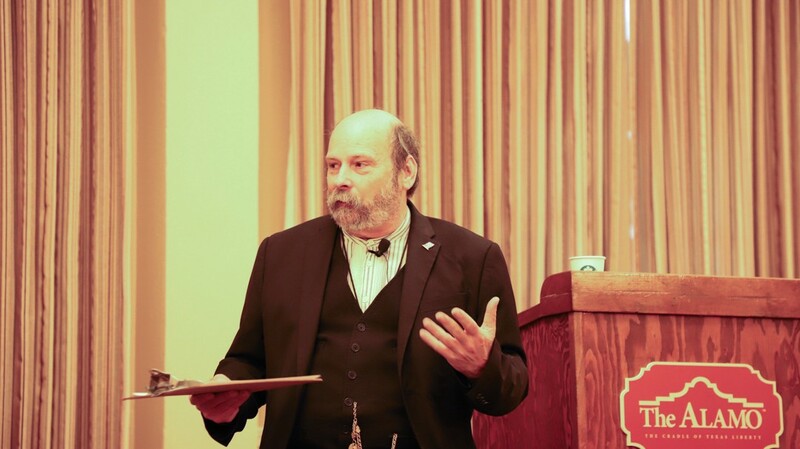 Andrew Torget, Associate Profess of History at University of North Texas, gave an example of how all history is connected, a concept that the Alamo history team tells visitors as much as possible. “Texas is a place where things overlap,” Torget says. “North America, Spain, Mexico, and the U.S. If you want to discuss modern borders you have to understand what happened here in Texas,” Torget added. All the historians on the panel, and Alamo Historian Bruce Winders, agree that the research into the Alamo and the Texas Revolution has improved vastly since the sesquicentennial. They stress that in addition to new documents and artifacts discovered, historians can look at old documents with a new point of view. The panel recommended that more research needs to be done with the Texas Revolution related artifacts and documents that reside in Mexico. “The Mexican Army was better at documenting things than the Texan army,” Greg Dimmick said. “There is very little in Texas history books about the Mexican army and pretty much everything in there is wrong,” Dimmick added. Bringing together this diverse group of historians, from across the U.S. and Mexico, shows how far-reaching the impact that the Texas Revolution had. 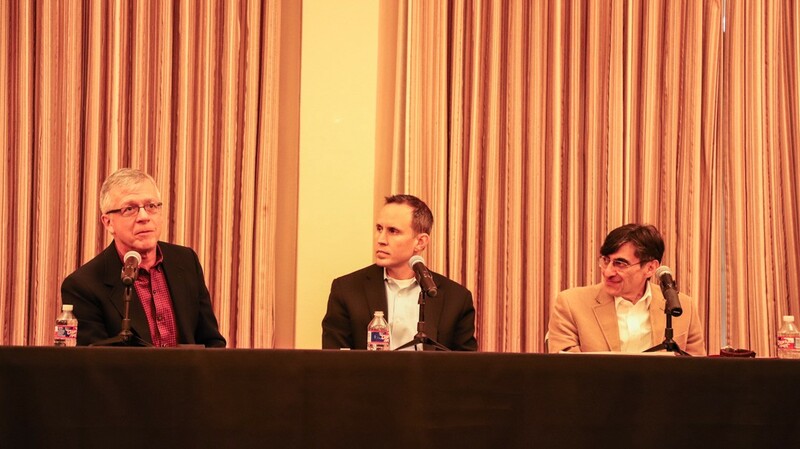 In addition to the topics mentioned in this article, the panel discussed items like colonization, the politics of Mexico at the time, significant historical figures, and the Battle of the Alamo. You can watch the full lecture on the Official Alamo YouTube channel.